Air Canada Expansion: New Routes Vancouver - Frankfurt and Gatwick! Air Canada Launches Two New Routes to Europe From YVR! Air Canada has been on a huge international expansion lately. Their low cost arm, Air Canada Rouge, has been performing well, creating routes that would not have existed previously due to cost constraints. As well, their new Boeing 787 aircraft has fantastic fuel efficiency, allowing for new city pairs. In September 2016, they launched six new routes to three different continents. They are continuing this expansion with more service from Vancouver. A press release published today announces the launch of Frankfurt and London Gatwick services, starting June 2017. These routes are also redeemable with Aeroplan Miles. That’s great especially given the fantastic promotions that are being offered on Aeroplan co-branded credit cards. The regular TD Aeroplan Visa Infinite is offering 30,000 points, while the TD Aeroplan Visa Infinite Privilege is offering a whopping 65,000 points after meeting requirements – this is the highest Visa offer I have ever seen in Canada. The Vancouver – Frankfurt route will be operated daily by a Boeing 787-8, with their international business class seats in a reverse herringbone layout. Lufthansa also currently operates this route with a Boeing 747-400, so the new service compliments the later LH departure. Westjet and Air Transat also operate this route, so there is already major competition on this route. 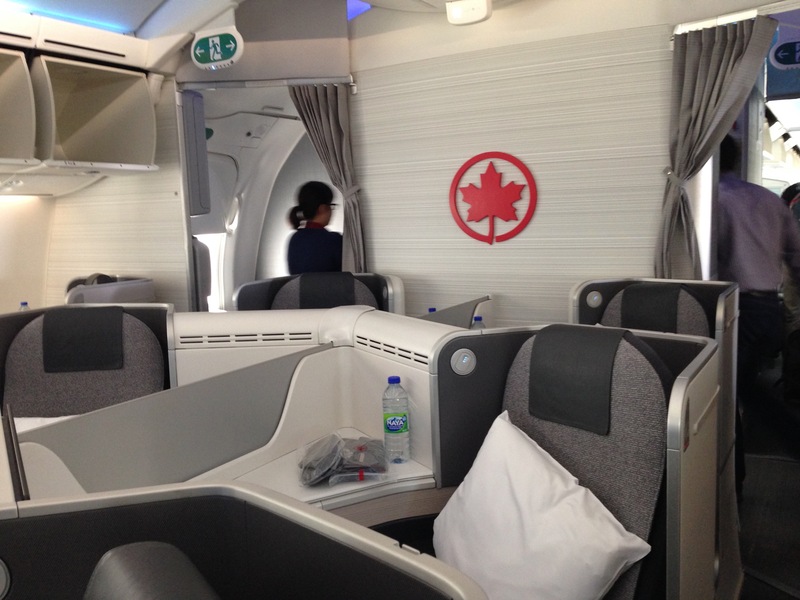 However, the advantage Air Canada has is that flyers will be able to earn miles and enjoy benefits. The two other carriers are not in a global alliance, so they will not have the same reach that Air Canada will be able to get with their participation in Star Alliance. Since tickets have just been available for sale, this route is great for award availability. One Mile at a Time writes that there are two seats on nearly every day through the end of the booking calendar. This is bookable through all star alliance programs, including Aeroplan. If utilizing Aeroplan miles, this would cost 55,000 miles and $496 in taxes and fees. There are several things to keep in mind. First, fuel surcharges are present because Aeroplan levies fuel surcharges on Air Canada. To read about fuel surcharges on Aeroplan, please see my article here. Super Elites do not have to pay this, so it only costs them less than $70 in airport taxes. Furthermore, with the new change fee structure, changes outside of 21 days cost only $30. This is very low when compared with other North American frequent flyer programs. This route is also bookable with 63,000 Avianca Lifemiles and 70,000 United Miles, although I’d rather use Aeroplan miles since they’re much easier to acquire in Canada. If I pick up a card like the American Express Gold Card with 25,000 Membership Rewards (convertible to Aeroplan), as well as the TD Aeroplan Visa Infinite. I’d have enough for a one-way ticket in business class to Europe, redeemable on this route. That’s a fantastic deal for a business class flight that cost more than $2,500 one-way.